Once the feature is rolled out, new users will be asked to verify themselves before they can start swiping. As for the process itself, users will be prompted by the app to submit a photo in a specific pose. 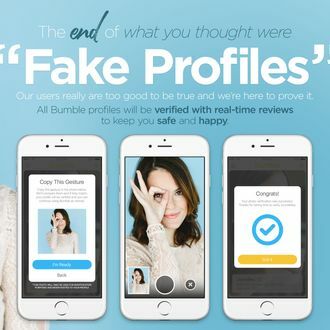 (Wolfe explains Bumble has 100 different poses, like “holding up a peace sign and closing one eye.”) Once the selfie is submitted, a third-party moderation team will compare it to that user’s profile photos and verify the user if everything checks out. 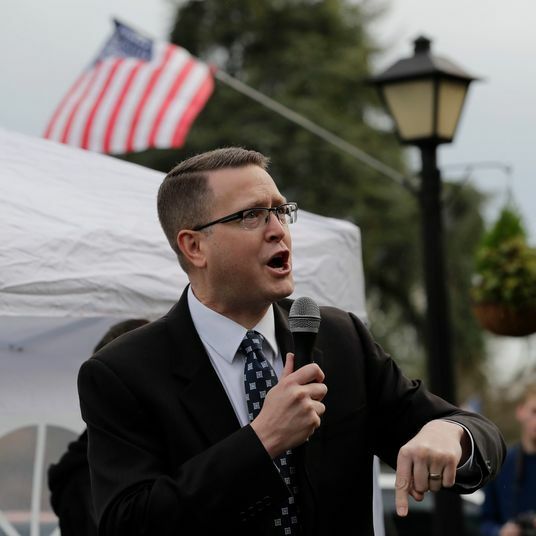 “The whole process is completely private between you and the moderator,” Wolfe explains. “Your photo will never be posted publicly and won’t be stored.” (The moderators consist of a 24-hour team of 4,000 people with a response time of about 40 seconds.) Verified users will have a special badge denoting their verification status on their profile, letting other users know they aren’t catfishing. And people found using fake photos will be banned from the platform (after being given a second chance to correct the issue). “It’s essentially like showing your ID at the counter when using your credit card,” Wolfe says of the new system. And if you’re concerned this new change will screw up your chances of matching with someone masquerading as a sandwich, or Draco Malfoy, or the ghost of Ichabod Crane (people are weird, man), photo verification will be optional for existing users. So if you do match with a picture of a sandwich, keep in mind they’ll probably look a little different in person. Namely, like a human, not a sandwich.